This is the used car guide to the SEAT Ateca. SEAT, like its in-house Volkswagen Group sister brand Skoda, lacked for any sort of SUV offering in 2015, when such high-riding vehicles were all the rage with buyers. Luckily, being part of the aforementioned VW Group meant that it was easy to develop a model in short order, using existing technologies – and so the Spanish firm’s first SUV, the Ateca, was born. A C-segment SUV/crossover, it competes in a heavily congested five-seat marketplace. 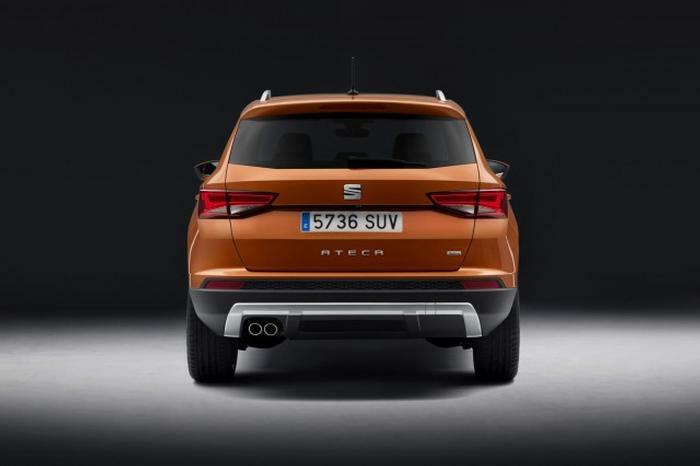 SEAT’s Irish Ateca range begins with S specification, where there’s a choice of two front-wheel-drive only models: one powered by a 115hp 1.0 TSI petrol three-cylinder engine, with a five-speed manual gearbox, or a 115hp 1.6 TDI diesel four-cylinder, with a six-speed manual. These same two drivetrains are offered at the next stage up, SE, where they are joined by a 1.4 TSI four-cylinder petrol unit with 150hp; this can be teamed to either a six-speed manual or a seven-speed DSG automatic transmission, but power still only goes to the front wheels. At luxury-oriented Xcellence level, the 1.0-litre TSI is dropped and replaced by the big 2.0-litre motors – all of which are exclusively mated to SEAT’s four-wheel-drive system, called 4Drive. There’s a 190hp seven-speed DSG TSI petrol, a 150hp TDI six-speed manual diesel and then a 190hp TDI seven-speed DSG. Sporty FR trim, which tops the range, cannot be paired to the 1.0 TSI or the 1.6 TDI – your choices here are the 1.4 and 2.0 TSI engines, or the 2.0 TDIs. Base S models come with a mobile phone interface, USB and aux-in sockets, 16-inch alloys, a trip computer, a tyre-pressure monitoring system and a good level of basic safety equipment. SE adds many desirable luxuries as standard, like climate and cruise controls, an eight-inch touchscreen infotainment system, LED rear lights, rear parking sensors, voice control and 17-inch alloy wheels. Xcellence and FR trim, while expensive, do add even more toys into their arsenal, making them feel like truly premium machines. With the backlash against diesel gathering pace, it’s a good job the best drivetrain choice in the Ateca range is the super-sweet 1.4 TSI petrol engine. This 150hp unit has no trouble at all shifting the SEAT’s body about and it’s refined across the rev range, while also offering clever cylinder deactivation technology to save fuel. You can opt for the manual if you like, but the DSG will be the easier to live with and our preferred choice. Select FR trim for the sharpest looks, too. Like much of what the Volkswagen Group does, the SEAT Ateca immediately went to very near the top of its class. Its sharp looks and big (for the class) interior give it plenty of showroom appeal, but a most pleasant bonus is that the excellent drivetrains offered are not wasted on a flaccid SUV chassis – the Ateca, as with many SEATs, is actually great fun to drive. Crucially, it’s also refined and really easy to live with, which is why it’s one of the best C-segment-sized SUVs on the market. Stick to the middle of the range for the best value-to-quality ratio and you will have a fine family conveyance.